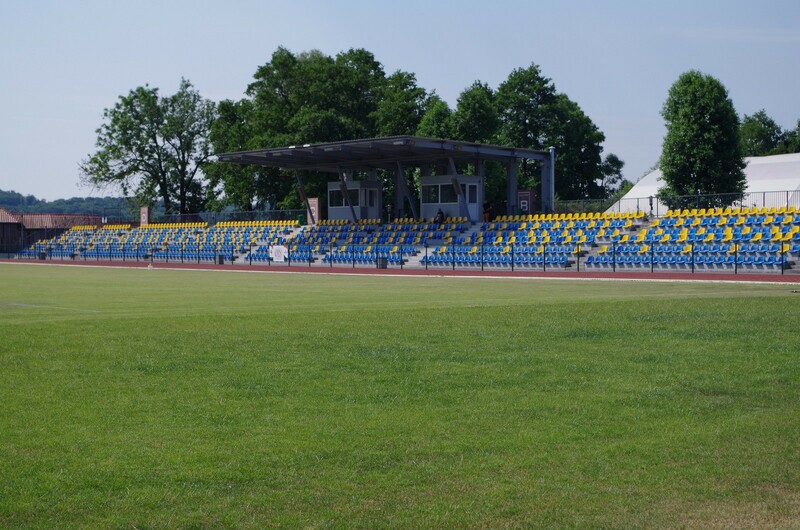 The municipal stadium in Barlinek is one of the most picturesquely-situated sports venues in Poland. 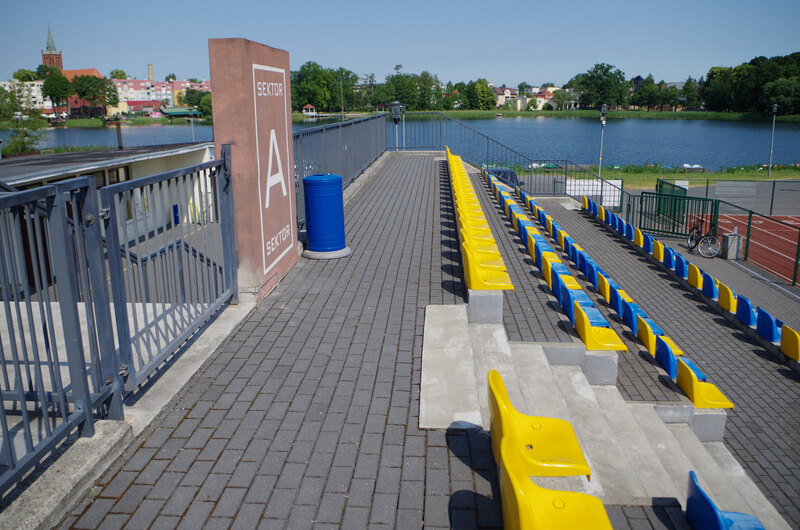 It was built in the calm, east part of town and is surrounded by waters of Barlineckie Lake from both the south and north. 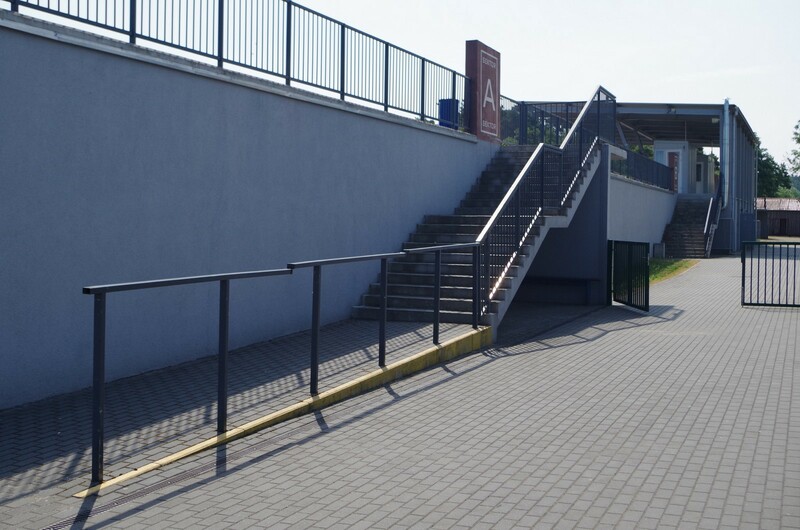 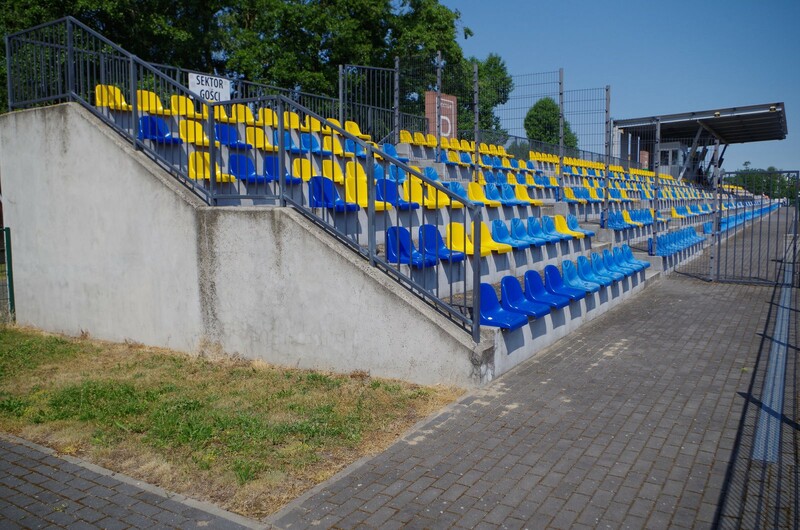 The old, initial stadium in this location was built by the initiative of Bronisław Bagiński, local entrepreneur and community leader, chairman of the largest industrial company and president of Pogoń, the football club using the stadium. 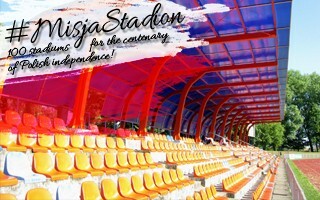 It's thus no wonder that the venue bears his name even today, being an entirely different venue. 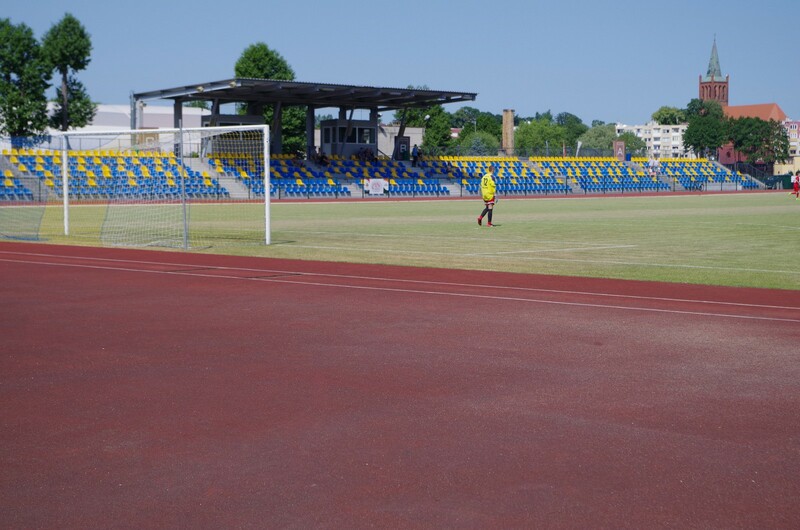 In its current form, the stadium dates back to 2011, when everything left of the old ground was removed, including the field of play. 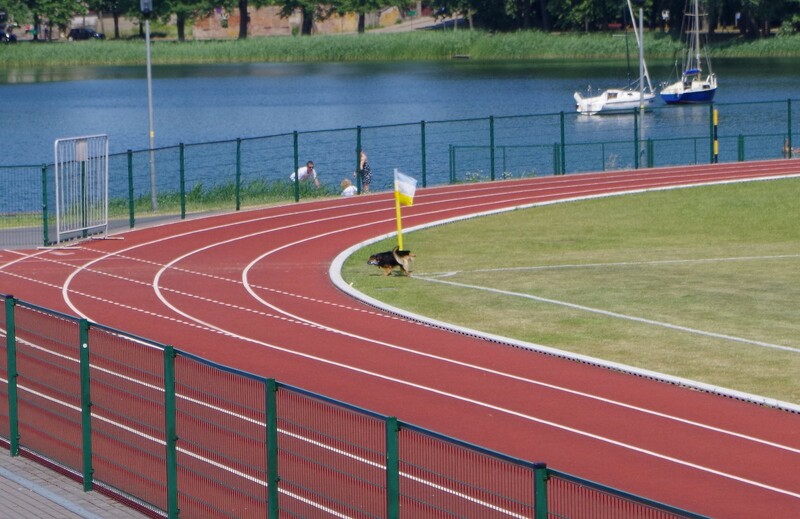 For some PLN 8 million a new multi-use stadium was built with natural turf and 4-lane running track (6-lane straight). 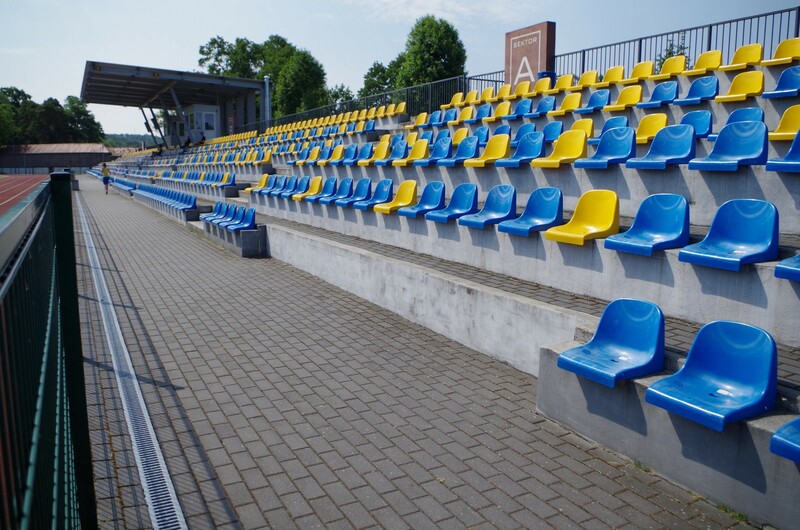 It offers 960 seats, of which 60 are dedicated to traveling fans. 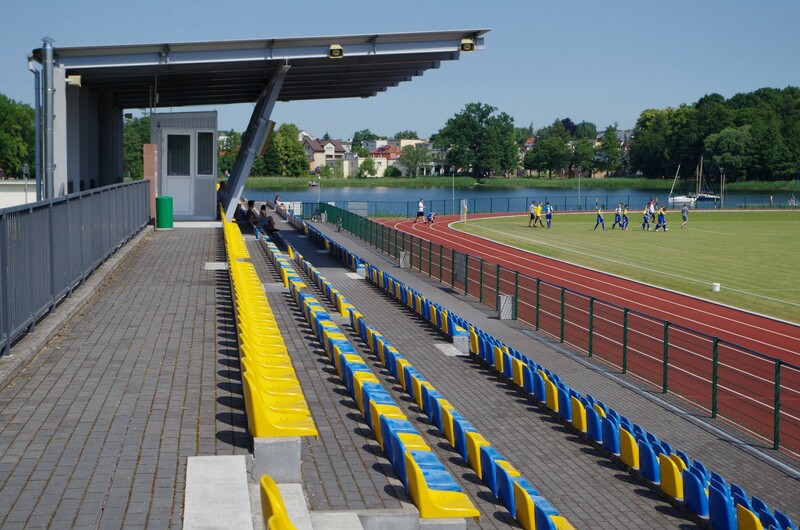 By 2020 it's expected to receive a modern pavilion with anciliary facilities, as the ones built in 2011 were deemed insufficient for local sport.